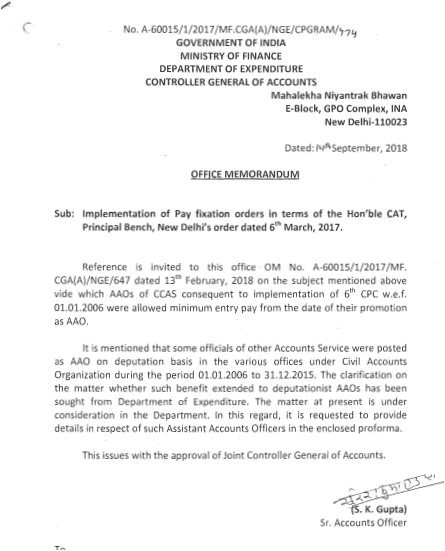 AAOs of CCAS consequent to implementation of 6th CPC w.e.f. 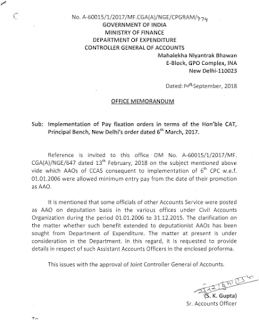 01.01.2006 were allowed minimum entry pay from the date of their promotion as AAO. The clarification on the matter whether such benefit extended to deputationist AAOs has been sought from Department of Expenditure.